Hal Gye was chiefly an Australian illustrator of humorous and political cartoons that appeared in a number of journals and newspapers. Besides this though he wrote poetry and articles, most of which were collected and published towards the end of his life, and posthumously. He was born Harold Frederick Neville Gye on the 22nd May 1887 in Ryde, a suburb of Sydney in New South Wales. His parents had emigrated from England and his father, a builder, took the family to set up home in Black Range, near Albury and young Harold attended the bush school there. They were in Melbourne though by the time he was 12 and, following school, he worked in a number of office jobs before deciding that art and writing might be his favoured career pattern. As a youth the Sydney Bulletin published one of his poems under the title Mrs Melba’s motor car and he was soon a member of the city’s Bohemian group which met at locations such as the Mitre Hotel. He had been attending art classes and a desire to make a living in this field prompted his departure from the law firm where he was working. The Bulletin was a good source for his articles and political or theatrical cartoons and he found other publications willing to take his work as well. Illustrations by Hal Gye were soon seen in the Sydney Arrow, Punch and the Melbourne Herald, amongst others. For a time Gye worked out of shared art studios in Melbourne where he would produce his work in an atmosphere of great conviviality. Besides his black and white drawings, mainly for newspaper or magazine use, he was a talented painter in both oils and water colours. Many of his paintings can still be seen in various Australian galleries. His artwork was curtailed somewhat during the 1930s following a serious injury sustained in a motor accident. From then on he concentrated on writing and often appeared in the Bulletin under the pseudonym ‘James Hackston’, or ‘Hacko’. Much of his poetry was written in the vernacular style, easily understood by readers who recognised language that they themselves used in everyday life. 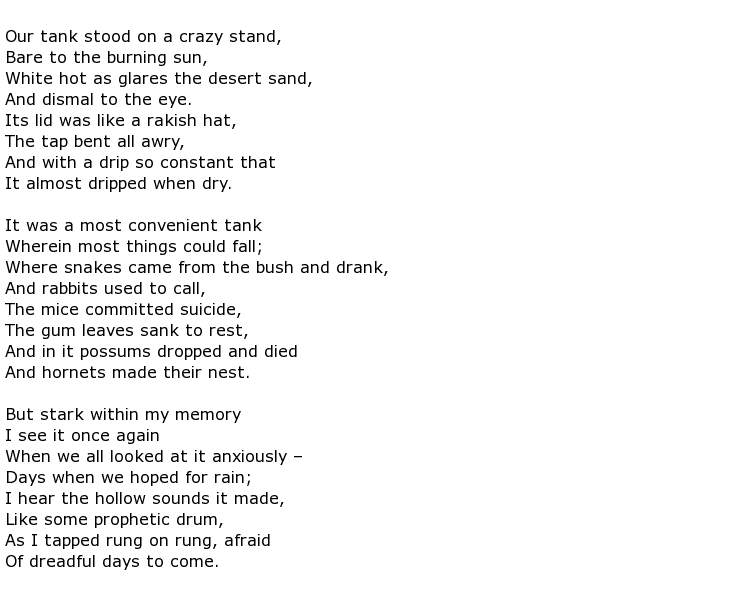 An example was his poem The Sentimental Bloke and the Burnie Mill. This was published in 1959 and included his own illustrations. He was a very popular writer and was known as a very sociable man, in any company. He was at ease with both men and women and admired by fellow writers and artists. His keen sense of humour was a constant factor in his work. Hal Gye died in Beaumaris at the ripe old age of 80 on the 25th November 1967.